It seems like common sense: if a baby survives an abortion, he or she should immediately be given medical care and doctors should work to save their lives. Unfortunately, this isn’t always what happens, and abortion advocates (like our own president, Barack Obama) fight fiercely against regulations protecting abortion survivors. And Planned Parenthood’s take on what to do if a baby survives an abortion and is struggling on the table, is that it should be up to the woman and her doctor — you know, the people who were just trying to kill that very same baby. “Okay, so if there is care available towards survival, you think that in some cases that care should be denied?” Vitter asked. “I think that the law says that all– that the child has to be taken away and receive medical care if there are signs of life – which doesn’t allow for the physician or nurse, or more importantly the wishes of the family, to say that they don’t think that care is going to help in this case and that they want to be able to hold their child,” Foster said. “And if the care could lead to survival, do you think that should be able to be denied?” Vitter asked again. It’s even more horrifying to know that Foster made these remarks in front of an abortion survivor, Melissa Ohden. How cruel and thoughtless can you be? Even a former abortionist disagreed with Foster. Kathi Aultman, a retired gynecologist and former abortionist, pointed out that having a baby born alive is the “worst complication” that an abortionist can experience, and that neither the abortionist nor the mother would have the baby’s best interests at heart. This kind of bill shouldn’t even be necessary. But unfortunately, it is. 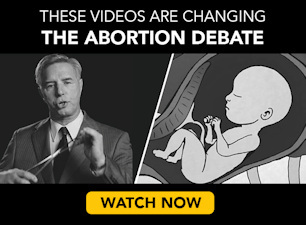 In addition to the words of abortionists themselves, and their pro-abortion supporters, a Live Action investigation showed that abortionists across the country routinely leave babies to die after surviving abortions. It happens frequently enough that the abortion industry actually has a name for it — “the dreaded complication” — but simultaneously try to cover it up, and deride it as a myth. The sad truth is that it not only happens, but when it does, these babies will be cruelly left to die, alone, unloved, without any compassion or even pain medication to make their passing a bit easier. There’s no excuse whatsoever to deny a baby that survives an abortion medical care. At that point, the issue ceases to be one of being pro-life or pro-abortion. Yet the abortion industry wants to allow their abortionists to kill these babies at will, and lie to the public while they do it. It’s sick, barbaric, and should make any person with even a modicum of decency horrified. Sadly, extreme abortion advocates have made it obvious where they land on the decency scale.